Q: I am looking for a bolster that is free of synthetic materials. I have looked at several of the better known companies but found these bolsters have synthetic foam cores or microfiber covers. 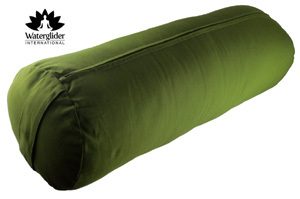 Do you know of any good quality bolsters that use natural and organic materials? A: There are quite a few companies that offer bolsters and some that will offer organic cotton covers, however, what you are looking for is more difficult to find. There are however several options that might satisfy your needs. To begin with, in regards to bolsters there are several different types. I am going to ignore the whole pillow segment of bolsters that are great for adorning a bed and I am also going to ignore the ‘body pillow’ segment that are bolster like, but not really bolsters. Instead I will focus exclusively on bolsters that are designed for use with yoga. Yoga bolsters are made for support and although their density can vary they are typically much more dense and heavy than any pillow. This makes them great for sitting on or supporting the body in yoga poses, especially reclining poses. Yoga bolsters come in two basic shapes. Round bolsters are cylinder shaped like a log. Rectangular bolsters are flattened top and bottom and look like a thick rectangle. The shape of the bolster you choose will depend on what activities you desire. Rounded bolsters are great for providing support behind the knees or under the back where their rounded shape enhances the low back curve. I consider these a more ‘inactive’ bolster since they are best when used as support in positions reclined on the back. Rectangular bolsters can be used behind the knee and back, but they can also assist in side lying and, my favorite, seated positions. I find rectangular bolsters to be better than seated zafu cushions in that they are wider and support the legs better. The rectangular bolster is the ‘jack of all trades’ type bolster in that it can be used for many more things than the rounded bolster. If I were purchasing a bolster for the first time or if I was only going to have one bolster, I would choose the rectangular one. I personally have both a rounded and rectangular bolsters and I use the rectangular one all the time. The rounded one just sits there all neglected. I got one with an attractive cover, so at least it looks good while being unused. Bolsters are traditionally filled with batting. Batting is a layer of insulation, usually cotton, polyester or wool that is often found as the filler of quilting. It is light and fluffy when a single layer, but for bolsters, layer after layer of batting is folded together to make a dense and heavy shape. A cloth cover is placed over the batting shape and this in turn may be covered with a removable and washable outer cover. In order to reduce weight, some bolsters have an inner filling, such as kapok, foam or poly-fill stuffing. There is even one bolster I know of that has an air filled center. There are some bolsters that do not use cotton batting and use just a lighter weight filling such as kapok. Kapok fiber is from the seed pods of the Kapok tree. It is light, fluffy, buoyant, resilient to water and very flammable. I suppose that last part does not matter too much in regards to bolsters, but I get a little nervous when something like flammability is associated with a substance. I mean, cotton batting is also flammable if you want to come right down to it, but they don’t list that in its general quality profile. For that reason I have avoided kapok products. I am sure I am blowing this out of proportion but hey, life is dangerous enough without sitting on the ‘roman candles’ equivalent of bolsters, right? Whatever filling you choose, even with a lighter core filling, a bolster is going to weigh several pounds, typically around 7 pounds. A bolster is also about 24 to 27 inches long. This is not a travel kind of item unless you like awkward and encumbered walks or are using your bolster as a weight training device. 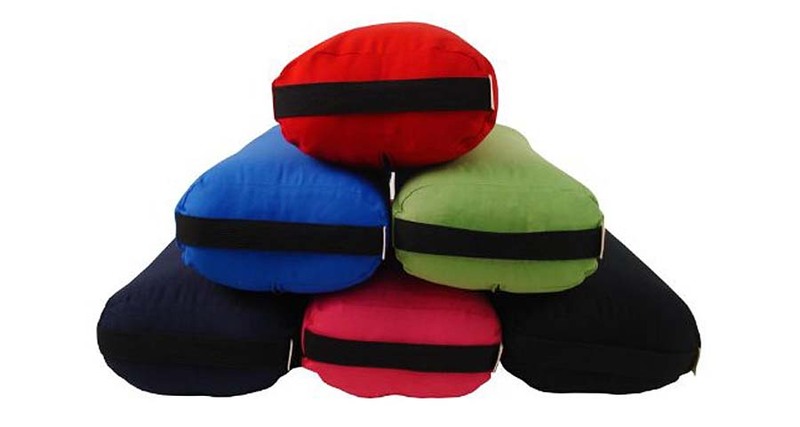 I have a few bolsters in my studio for my students to use because even though these are very useful devices, it is unreasonable to think anyone who does not have their own personal Sherpa would be bringing their own bolster with them. 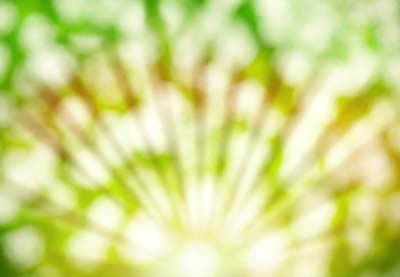 I can understand your desire to find an organic material bolster. After all, reducing our exposure to synthetic materials is important in our quest to avoid chronic toxic exposure. This makes the bolster you seek a specialty item and they will charge a higher price. You will also want to decide if natural substances like cotton or kapok are good enough or if you want the extra effort of organic only, meaning extra attention to no pesticides, residues and even attention to details like the dyes used in the fabric. Every step up the scale in organic is going to limit choices and raise the price. These bolsters are made of all or mostly natural fibers. Blue lotus has a round cylinder shaped bolster that uses only natural fibers of cotton and kapok. Bean products has a rectangular bolster that uses natural cotton batting around a foam core. If you are looking for a bolster that is lighter in weight then the Manduka bolster may interest you. It has an air core and weighs less than 4 pounds. It also has a microfiber cover, but you can get past that by paring it with an organic cotton king sized pillow case. In most cases, the bolsters come with a removable cover, but take note – washing that cover is going to change it and if it was a tight fit coming off, it will be an olympic wrestling event putting it back on again after it has been laundered. I highly recommend using a king sized pillow case over any bolster you would want to use against your bare skin or in bed with you. That way you can keep the pillow case laundered as often as you wish and not have to go through the whole wrestle mania thing. They offer this rectangular bolster in a cotton batting and standard foam core style, but they also offer it in an organic cotton batting and organic natural latex core style. You can read more about this bolster on their website. However, I would not purchase off their website because they offer this same bolster for a better price and better shipping cost an Amazon. If you are looking for a round cylinder bolster, then this one from Waterglide has an organic cotton removable cover and is filled with only organic cotton batting. Going totally natural and organic will cost more, but you can limit your exposure to toxins both with skin contact and out-gassing potential. Depending on your sensitivities you might also opt for the less expensive or less heavy options and cover it all with an organic cotton case. 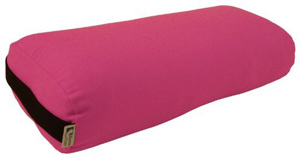 Whatever you choose I am sure you will find that a bolster is a great addition to yoga. 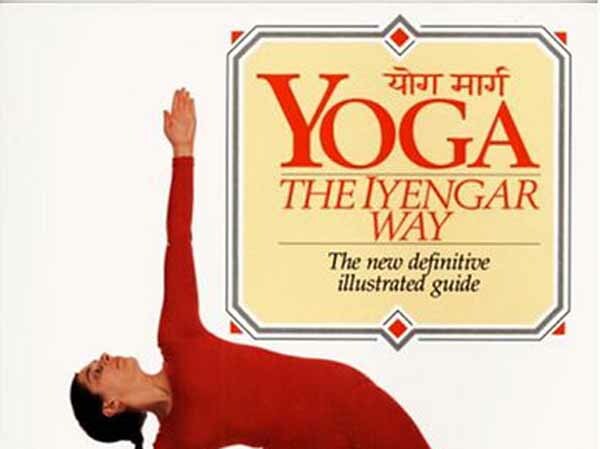 Ask the Yogi: Do yoga rooms need to be hot?